Following in the footsteps of previous site-specific pieces Manchester Lines and Manchester Sound, a new era is being ushered in as theatre comes HOME to Manchester. HOME Manchester presents the world premiere of Angel Meadow tonight, the first in a series of site-specific productions taking place around Manchester in the lead-up to the opening of the £25m centre for theatre, film, and art in spring 2015. Hailed by The Irish Times as the company responsible for “the most searing and provocative works of the past decade”, multi award-winning Dublin based ANU Productions are building a reputation for consistently creating ground-breaking theatre. Placing the audience at the very centre of their work, the performance site explodes with forceful energy, as the audience enter a world that is fast, furious and ultimately captivating. Their latest production Angel Meadow, launching HOME’s first season of theatre, is inspired by the 19th century experience of Irish migrants escaping poverty and famine for a better life in industrial Manchester. A raw enactment of the lives of the Irish community settling in Ancoats, it will ignite aesthetics and politics, and the historic and the contemporary, in a controlled explosion of cold rage. Through intimate encounters and installations, the audience is brought on an immersive journey in contemporary Ancoats, an area now undergoing extensive regeneration but once described as ‘Hell Upon Earth’ by Friedrich Engels, co-author of the Communist Party Manifesto, in his book The Condition of the Working Class in England in 1844. A revelatory site-specific experience, Angel Meadow will take place in a disused pub that history has left behind. This theatrical haunting of Ancoats is an ambitious, multi-layered response to the waves of Irish migrants who lived here. “The name Angel Meadow conjures up an image of fresh air and sunshine,” says director Louise Lowe, “but our research tells us it was anything but. We know from archives and oral histories that life here was overcrowded and dangerous. Gangs of scuttlers roamed large, and territorial combat was a way of life. Renowned for their interdisciplinary approach, ANU Productions draw influences across visual art, performance, cinema and dance. Angel Meadow has been devised with research spanning from the origins of this site to the ritual superstitions that the Irish migrants brought with them. Walter Meierjohann, HOME’s Artistic Director for Theatre, is delighted to have secured ANU Productions to present the first-ever production under the HOME banner. “Our site-specific season for 2014 is a taste of things to come at HOME,” he says, “and we are delighted to have Louise and her team with us in Manchester. 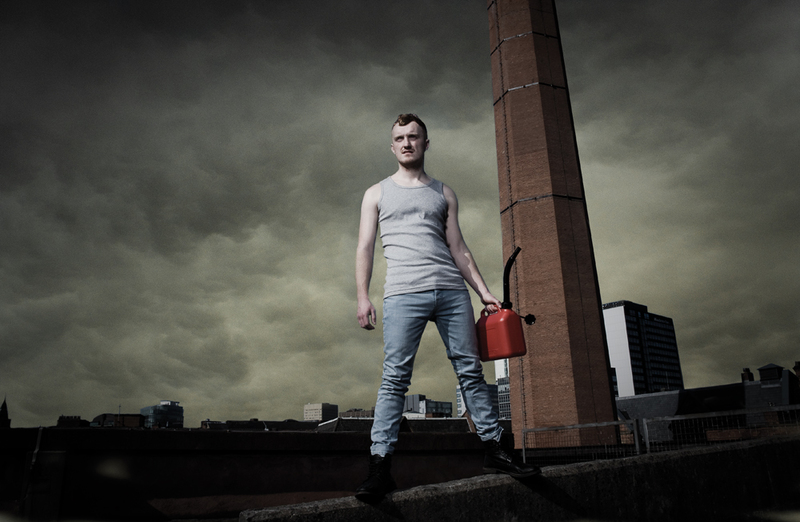 Angel Meadow is the first production of HOME’s site-specific season for 2014/15. It will be followed by Romeo and Juliet directed by Walter Meierjohann at Manchester’s renowned Victoria Baths (Wednesday 10 September – Saturday 4 October) – and then three productions at Number One First Street – The Best of BE (Birmingham European) Festival (Friday 17/Saturday 18 October); The Events, presented by ATC (Wednesday 22 October – Saturday 25 October); and re:play Festival (Monday 12 – Saturday 24 January 2015). Tickets for Angel Meadow are available here though selling very quickly! Photo by Graeme Cooper.